Why is it that the trailer for each V/H/S film is so good...and the actual movies are so, so bad? Well actually, I can only judge the first film from 2012 -- which I just barely finished (my brain has since deleted it from memory). I can only guesstimate that last year's sequel isn't much better. But yet again, the fresh batch of filmmakers behind the newest installment, V/H/S: VIRAL, are trying to hook audiences with a completely batsh*t trailer that will likely appeal to fans who can't stay away from these found footage films. (Honestly, aside from the Rec and Quarantine series, I could do without them. But I remain hopeful). Thoughts? 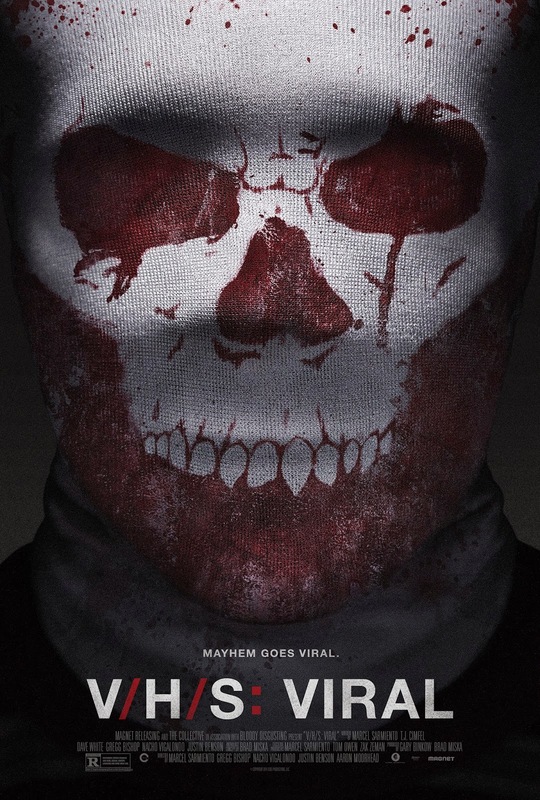 V/H/S: VIRAL will be available on iTunes / On Demand October 23rd and in theaters November 21st. V/H/S/2 was actually way better than the first one. I think I even gave one of the shorts in that one an A, where as the first one I just wanted to fail all of them. Hopefully this one keeps the upward path they seem to be taking.